* As of March 31, 2013. On December 31, 2009, there were 4,571 inmates at this facility. (a date of birth will be required if the inmate has a common name). Division of Juvenile Justice (DJJ): for information on contacting or visiting wards at Division of Juvenile Justice facilities, visit the DJJ Page. California State Prison-Los Angeles County in Lancaster, opened in 1993, is the first and only state prison located in Los Angeles County. As of December 31, 2012, one third of the 764 inmate commitments (33.2%) to the Division of Juvenile Justice were from Los Angeles County. On December 31, 2011, the Southern Youth Correctional Reception Center & Clinic, managed by the Division of Juvenile Justice, and located at 13200 South Bloomfield Avenue in Norwalk, was closed. It had been designed to house 350 juvenile wards for the state. There are no longer any juvenile facilities managed by the state in Los Angeles County. 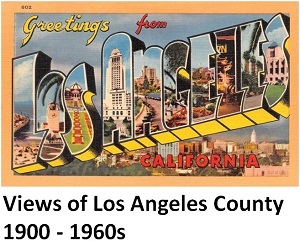 On December 31, 2010, one of three inmates in the California state prison population (or 53,940 inmates) was committed from Los Angeles County. There were 3,220 female inmates (32.9 percent of the state female inmate population) and 50,720 male inmates (33.1 percent of the state male inmate population). In June 2004, the then California Youth Authority (now part of California Department of Corrections) closed Fred C. Nelles Youth Correctional Facility in Whittier (11850 East Whittier Blvd.). Up until that time, this had been the oldest juvenile facility in the state, first opened in 1890 as the Reform School for Juvenile Offenders. In 1941, the institution was renamed to honor Fred C. Nelles, superintendent of the school from 1912 to 1927. Averaging a daily population of 439 wards in its later years, the facility once housed nearly 1,000 wards. The last ward left the facility on May 27, 2004.